With Michael in Seattle for work, I made a ton of plans with my friends. My solo weekend included a much needed pedicure with my cousin Anna, I bought tickets for the Fleetwood Mac concert coming this June, and I went out to dinner with my friend Erika on Saturday night. 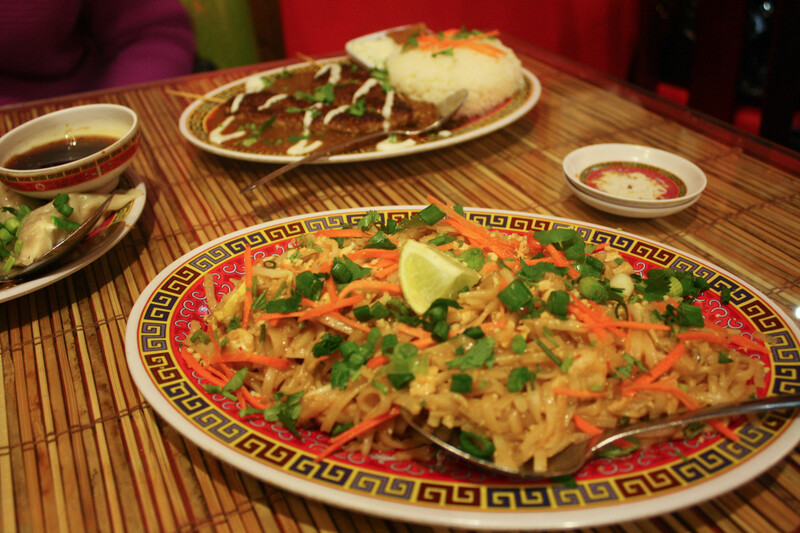 We went to Stickers Asian Cafe and I was able to successfully stay on the diet. I narrowed down the entrees I knew I could eat (they had rice or rice noodles and no dairy in it) and asked the waitress if the yakisoba noodles were made with wheat (according to the internet it could be gluten-free but sometimes the noodles were made with wheat). The waitress did one better: she brought me a list of their gluten-free, soy-free, and wheat-free items that were on the menu. That made it even easier picking something. Thankfully I was able to get some noodles that were gluten-free! Erika and I ended up going across the street after dinner to Kay’s to continue the evening. 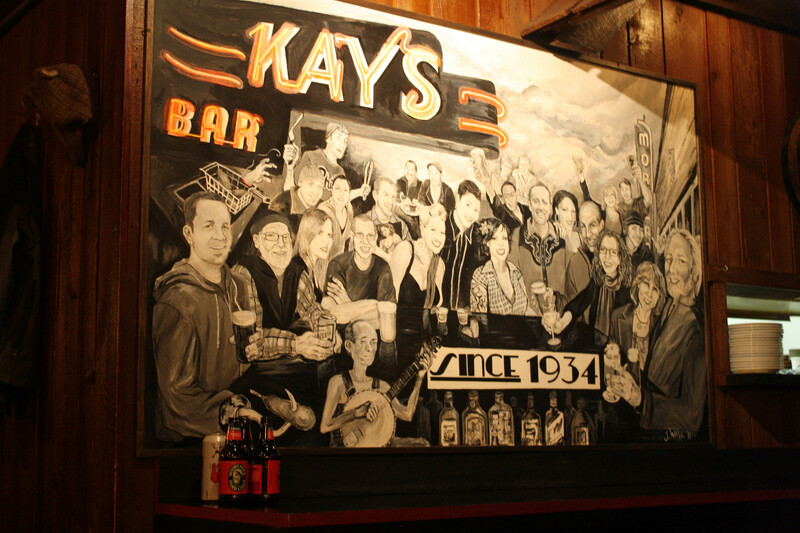 Kay’s was a cute but divey bar in Sellwood with cheap drinks and your typical greasy bar food. I got a glass of wine at Kay’s and before I knew it, Erika and I had been talking and hanging out for hours. It was nearing midnight and we started to wind things down. On Sunday I did a little baking. I wanted to share this recipe with you because it was so good! I don’t know what website I found it from, or I’d share the link here. The print outs usually include the source but this one did not. 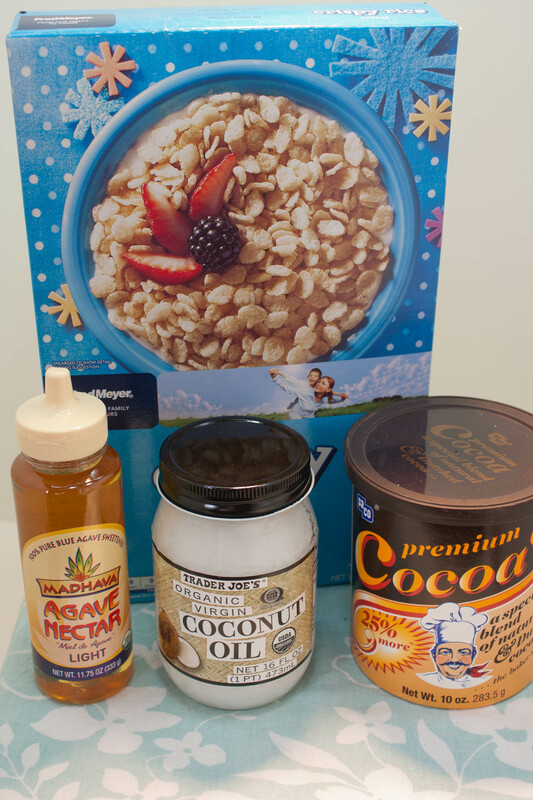 Combine coconut oil and sweetener. Stir, and add cocoa powder and rice crispies. If needed, add 3 tablespoons water or milk if using stevia as sweetener. Stir until it gets thick. Pour into a flat container. Freeze until solid. Store in the freezer. Since it was frozen, I broke off a chunk and was so happy to see that it was ready to eat. IT WAS SO GOOD. I finally found a gluten and dairy free dessert that is absolutely fantastic and does not taste fake. It was definitely not unsatisfying like some of the other dairy/gluten-free desserts I’ve tried so far. It tasted just like a Nestle Crunch bar made out of dark chocolate. Even if I don’t continue doing the dairy-free thing, I will most definitely make this dessert on a regular basis. I cannot express how rich and good it was! After making the dessert, I cut up a ton of veggies for the week and also got things ready for my first book club meeting. I’ve never been in a book club before but I’ve wanted to for a long time. This was our first meeting. A bunch of friends came over to my house and we talked about “The Road” by Cormac McCarthy. 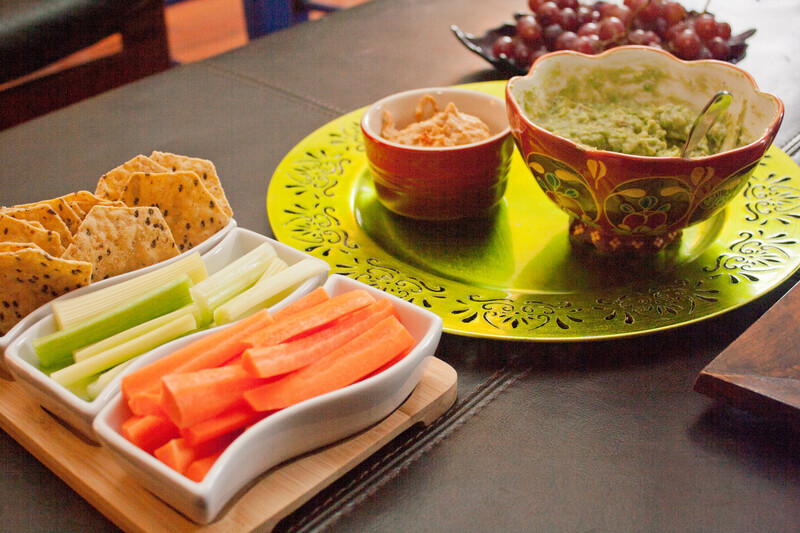 The snacks I had were: homemade guacamole with carrots, celery and gluten-free crackers. I also put out some store bought hummus (I ran out of time and couldn’t make my own) and some grapes. It was kind of a weird time (4-6) so by the time the meeting was over and it was dinner time I’d pretty much eaten a dinner of crackers and guacamole. 🙂 I ended up having a bowl of cereal a few hours later and called it a night. Not the healthiest of meals but oh well! The book club meeting was a lot of fun. It was my first time participating in one, as was it for most of my friends. Thankfully one friend, Debby, had been part of one before and she got the ball rolling. It was funny because the discussion was pretty thoughtful about the book but we ended up going into long discussions about The Walking Dead and other books and movies that had similar post-apocalyptic themes like “The Road” did. My holiday weekend ended with another Body Pump class (I finally felt like I belonged in the class because I could keep up and anticipate the moves) and then acupuncture. What a fun weekend! All weekends should be like that. QUESTION: Do you have any book recommendations for my next book club to read? Thanks. I shared your blog on facebook. People are always looking for gluten free recipes these days. Book recommendation: Silver Linings Playbook. Could not put it down. Thank you, Carin! I cannot express just how good it was. It definitely tasted like coconut–I should have mentioned that in the post since some people aren’t fans. I loved it. Tickets to Fleetwood Mac?!?! I’m so jealous! I’d love to see them perform live! They are one of my favorite bands. I’ve loved Stevie Nicks since I was a kid. I cannot wait!!! Fleetwood Mac??? WOO HOO!!! 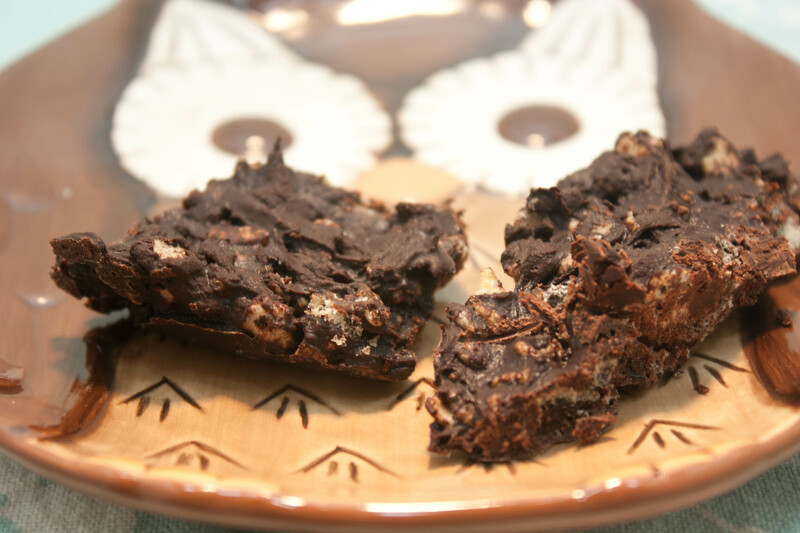 Thanks for sharing the fabulous looking recipe Lisa. It was such a tasty dessert! yum! those bars look great! Sounds like a great weekend. When the boys are away the girls will play. That’s how it goes right? And those crispie treats sound great! You’re right, they don’t look all that appealing, but I’d eat the hell out of them. 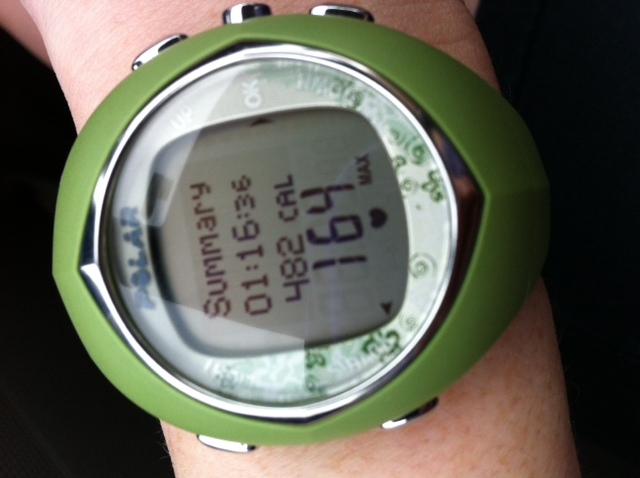 Glad to hear you ended your weekend with a good workout. That always seems to get us feeling upbeat for the week to come. Trevor recently posted..A Decade of Baking — and the 12 Lessons it Taught Me About Living with Extraordinary Passion. 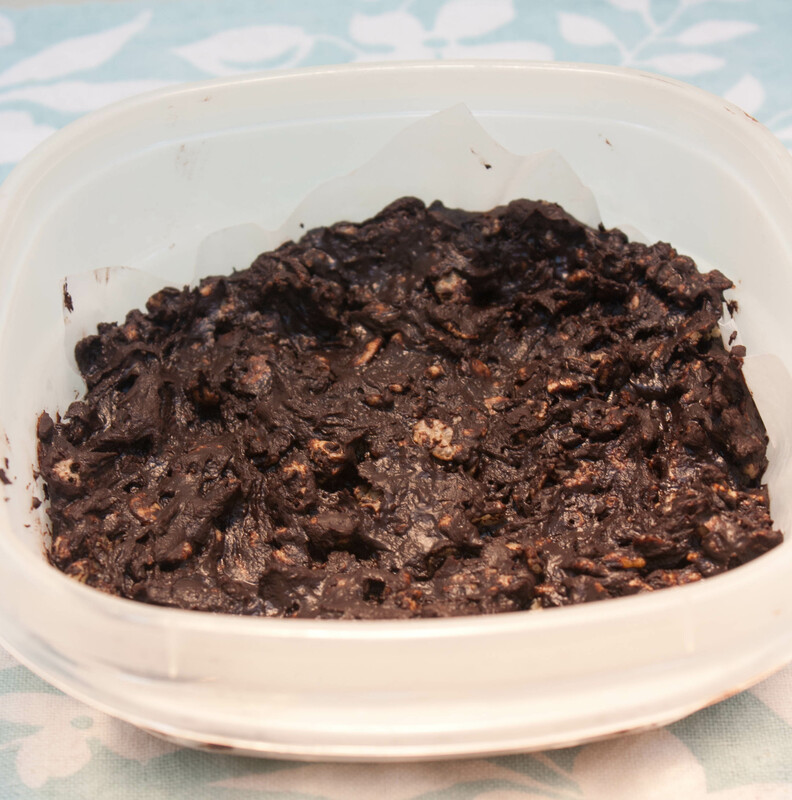 I LOVE the idea of using coconut oil in the chocolate rice krispie bars. What a fantastic idea!! !